I got this green skirt from Anthropologie a few years ago. I found some for sale on ebay available here and here. You can also look for it on another favorite place of mine named Poshmark. 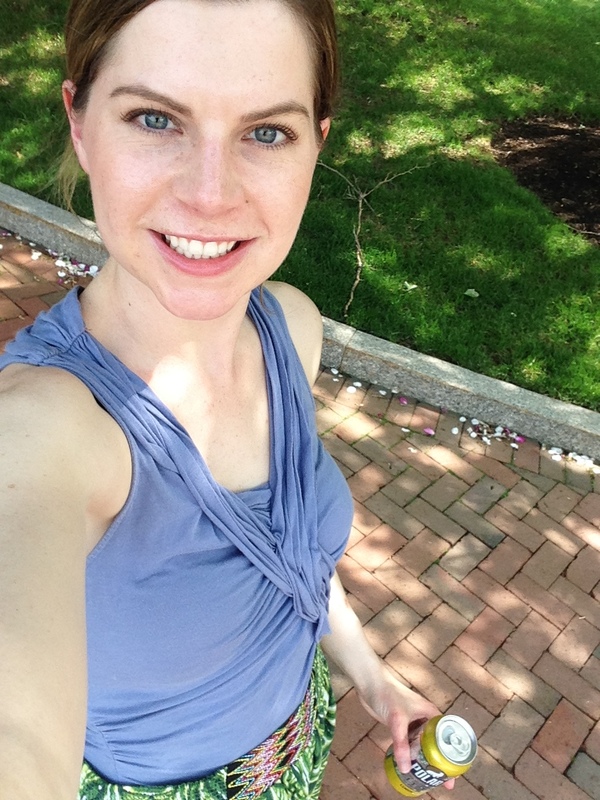 This skirt is amazing, it has a fun wild print, is super comfortable with an elastic waist, very breezy for those hot as hell summer days, and does not blow up in the wind tunnels of Boston. I paired this skirt with another oldie in my wardrobe The Anthropologie Sidebent Tank. I found one here, here, here, and here. My Toms shoes in navy are available here, here, here, here, here, and here. I know Toms aren’t the most attractive shoe, but they’re discreet enough for a comfortable shoe and come in so many colors that they’re such a great summer staple for those of us that like to do a lot of walking and have to put their feet through public transportation. On a side note, I haven’t forgotten to post about Iceland, I just have to wait until I have a new computer to get my pictures loaded for a post. Getting a new computers is $$$, so hence the delay. Hopefully I’ll have one by August!